Oil prices collapsed on Tuesday for the second time in a week. During midday trading, WTI fell below $55 per barrel and Brent dropped below $65 per barrel. Both benchmarks are off more than $20 per barrel from their October highs. “Oil prices are under pressure in the face of ample supply, falling stock markets and an increasingly gloomy economic outlook,” Commerzbank said on Tuesday. Tuesday also saw a plunge in global equities, which is dragging down all sorts of different sectors, including oil prices. “I think you’re going to see a risk-off type of market,” Tariq Zahir, a New York-based commodity fund manager at Tyche Capital Advisors LLC, told Bloomberg. “It wouldn’t be surprising to see new lows being printed on oil” if crude stocks rise sharply. U.S. crude oil inventories likely rose by 3.5 million barrels last week, a sign that the surplus continues to build. In fact, concerns about a supply glut are growing by the day. The IEA said in its November Oil Market Report that the global surplus could average 0.7 million barrels per day (mb/d) in the fourth quarter. “In our view there is no doubt that production needs to be cut,” Commerzbank said. 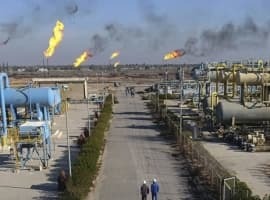 “This is also illustrated by the IEA’s latest estimates, which point to a massive oversupply on the global oil market next year if OPEC production remains unchanged.” The IEA says the current 0.7 mb/d surplus could balloon to 2 mb/d in the first half of 2019 based on the market’s current trajectory. This situation is putting a lot of pressure on OPEC+ to take action next month. On the other hand, some analysts and traders are growing concerned that OPEC+ could stage a repeat of the 2014 meeting. If one could pinpoint a single moment in time that crystallized the oil price meltdown between 2014 and 2016, it was the 2014 OPEC meeting. The market was caught off guard by the decision by the group not to cut production in the face of a mounting surplus. The result was a steep selloff that continued more or less for the next two years. But Bloomberg reports that investors are scrambling to secure positions that protect them from a deeper downturn. “Recall oil prices, which had already fallen 29 percent going into the November 2014 OPEC meeting, fell another 10 percent the day after the meeting and were down 25 percent the month after as OPEC disappointed on supply cuts,” Mandy Xu, chief equity derivatives strategist at Credit Suisse, wrote in a note Monday. Meanwhile, the head of the IEA, Fatih Birol, warned that a production cut could hurt the global economy because of higher prices. He also lamented low spare capacity. These comments are a bit odd and contradictory since cutting production would allow OPEC to rebuild spare capacity. Crude oil prices have entered a highly volatile phase. Prices fell 7 percent on November 13, and plunged again on Tuesday. The odds are still pretty high that OPEC+ agrees to supply cuts in December, but it isn’t clear that volatility is going away anytime soon. There has always been supply gut. Oil has been sloshing around the world. The industry has used the collapse of oil production in Venezuela & Iran sanctions to push prices up out of stupidity & greed as well as production cuts but the fact is even Massive cuts by OPEC & Russia have still left a plenty of oil sloshing around, US production soaring, & massive isle capacity. Now thanks to stupidity & greed pushing the price up to the point it’s killing world economic growth prices are falling. They could have held prices around $60 w everyone benefiting w/o killing growth but greed & stupidity don’t work that way. Worse the Federal Reserve got aggressive w interest rates helping greedy oil prices choke off growth. Let’s hope it’s not too late & they realize we need WTI in the $50 to $55 range for awhile & a long pause in interest rate hikes. Otherwise get ready for the consequences of greed & stupidity. At least oil might end up at $20. The usual result of greed. Let us first sort the wheat from the chaff. There is no need for excessive worry over supply fears and also no need for crocodile tears by analysts and experts alike about the recent slump in oil prices. The global oil market fundamentals are still as robust as in October when oil prices hit $87 a barrel. The market has had a small pocket of glut then capable of taking care of outages by Venezuela and others. It is true that the small glut may have increased a bit recently by Libya lifting its oil production to 1.2 million barrels a day (mbd) from 900,000 barrels a day (b/d) three months ago. Under the OPEC/non-OPEC production cut agreement, 1.8 mbd were cut to bolster the price. Then a month and half ago Saudi Arabia (under intense pressure from President Trump to save his neck in the Congressional midterm elections in November) added 400, 000 b/d to the market and Russia (for its own reasons) added 250,000 b/d, a total of 650,000 b/d. That was a grave mistake because it enhanced the pocket of glut I referred to earlier. Still, President Trump lost control of the US House of Representatives. OPEC doesn’t have to cut production in its meeting in December. 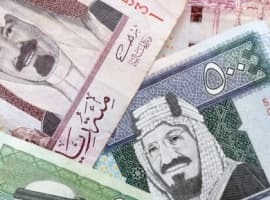 A better idea is for Saudi Arabia and Russia to withdraw the 650,000 b/d they added to the market and return them to the previous 1.8 mbd cut under the OPEC/non-OPEC agreement. Whether you want to call it a new production cut or a reversal of an earlier mistake, I leave this up to you. 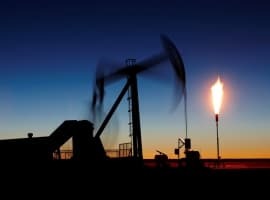 And despite claim by the International Energy Agency (IEA) that global glut could average 0.7 mbd in the fourth quarter, the IEA and its chief are claiming that any fresh cuts by OPEC to bolster the oil prices could have negative effects on the oil market. The IEA chief and and his organization must be living on a different planet and must therefore have forgotten the huge damage the 2014 oil price crash has inflicted on the global economy particularly the economies of OPEC members and the loss of hundreds of billions of global investments. It would be better if the IEA and its chief stop pontificating on oil prices and oil market as their utterances have been branded biased and discredited a long time ago. Still, the recent slumping of oil prices proves abundantly clear that US sanctions against Iran have so far failed to dislodge even one single barrel from Iran’s oil exports. That is despite the fact that the global oil market has been bombarded for months prior to the sanctions by projections including IEA’s that the sanctions will cost Iran’s oil exports some 500,000 b/d to 1.5 mbd. Hmmm, so if oil prices have fallen about 25 % how is it that gas prices have fallen less than 7% at the pump? I guess it shows what a HUGE proportion of the price is controlled by taxes and other costs. Nevertheless when oil was in the $30+ dollar range during a time period after the Behr Sterns and Lehman Bros collapse the gas prices in parts of North Carolina were $1.39 per gallon. Somehow customers are currently not getting the size of the flow-on of falling oil prices as they were back then. How do?